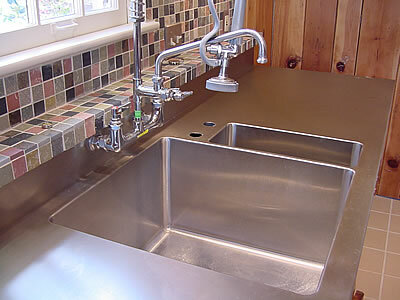 CJ Design Kitchen Countertops uses only the best in type 304-14ga stainless steel with number 3 finish to provide a rugged dent resistant Stainless Steel Countertop and stainless steel sink that will last you and your family a lifetime. 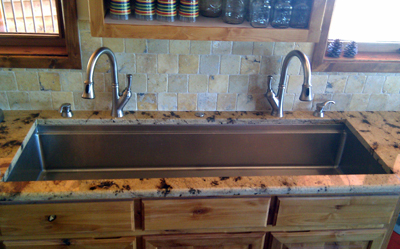 Integrally welded stainless steel sinks. 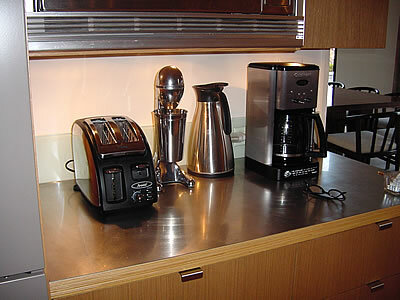 Stainless steel is durable and resistant to gouging and denting. 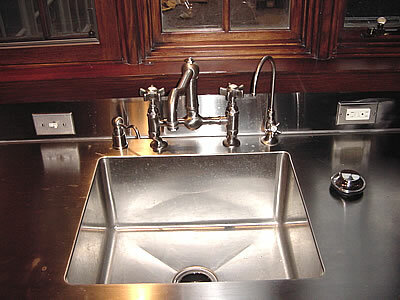 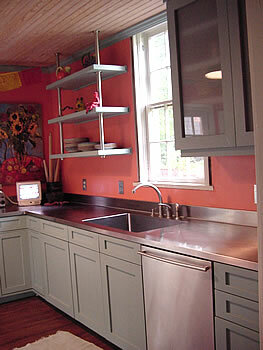 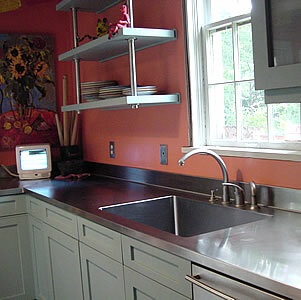 Stainless steel sinks keep a polished shine over time, depending on the finish.